The deadline was that day, I still wasn’t feeling well, and after numerous paragraphs I’d written and then erased (including the entire rough draft that my computer had deleted when I had pushed the save button), I had nothing to turn in and didn’t know what I was going to say. Every word I put down, I judged for not being good enough, not making sense or not having an interesting enough story. Nothing was coming together. Overly concerned with being “good enough” or producing an ideal end result that others would like, I was blocked from creating anything sincere, genuine, or from the heart. I tried to pray through it and ask God to tell me what He wanted me to say, but the only answer I felt Him give me was, This belongs to Me. Despite my frustration with what I considered an unhelpful answer, it was true. My writing is the Lord’s. All my work belongs to the Lord. My entire life belongs to Him. Why was I making it all about me? It seems easier to understand justice in terms of fulfilling our civic duty, but perhaps it is more challenging to really consider what we owe to God and what ultimately belongs to Him. The denarius mentioned in today’s Gospel holds the image of Cesar, but I myself am created in God’s image. Furthermore, by the Sacraments I am signed and marked for Christ. I am His. I belong to Him and everything I have and do is His. In some way, I think it actually takes the pressure off. My life belongs to the Lord. 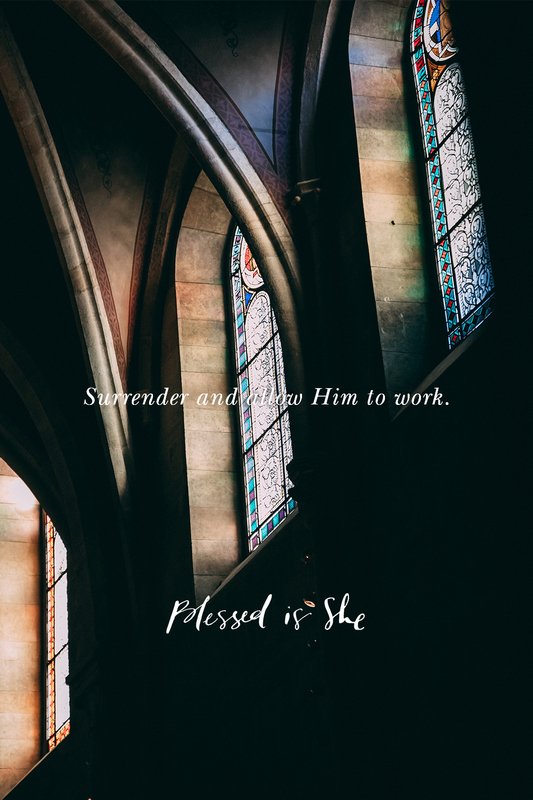 I can surrender and allow Him to work in and through my responsibilities, my talents, and even my assignments and work deadlines. I belong to Him, and it is only right that I give my life to Him in all I do and everything I am. In this, we can experience so much freedom and true joy. I belong to Him, and it is only right that I give my life to Him in all I do and everything I am. Do you truly know and believe that you belong to the Lord? Can you feel the freedom and peace that comes from surrendering to God the gifts He’s given you? How can you allow Him to work within you today?